VANCOUVER - In a small warehouse near the southern edge of Vancouver, a man scoops freshly milled flour into brown paper bags stamped “Flourist” that will soon ship out to customers hungry for fresh, additive-free baked goods. Flourist's cofounders wanted to make fresh flour - the type without any additives and that needs to be stored in a fridge - available to Canadians. “Flour should be consumed fresh after milling and it just wasn't something we had access to in grocery stores at all,” says cofounder Shira McDermott, lamenting the long list of ingredients that can be used in mass-produced flour to keep the product stable over time. All types of consumers seem hungry for their additive-free flour, as well as loaves baked with it. Flourist's buyers span “a wide stretch,” said McDermott, though its core demographic is probably mothers, foodies and hobby bakers. There's a market now - albeit a small one - for artisanal bread, said Dara Gallinger, co-founder and CEO of Brodflour. 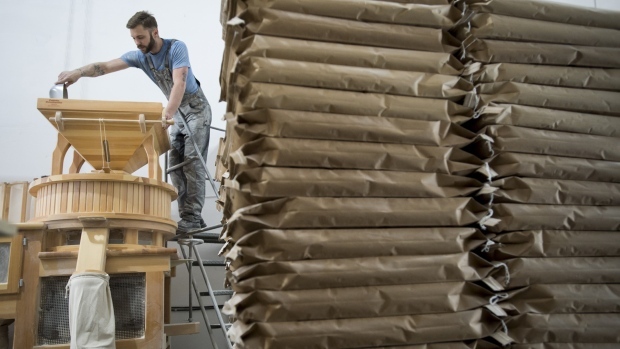 The mill and bakery opened in early 2019 in Toronto's Liberty Village neighbourhood, and sells a selection of flour based on what it's milling that day.